The hottest in Roanoke – RoanokeAfter5 July Sponsors are here! 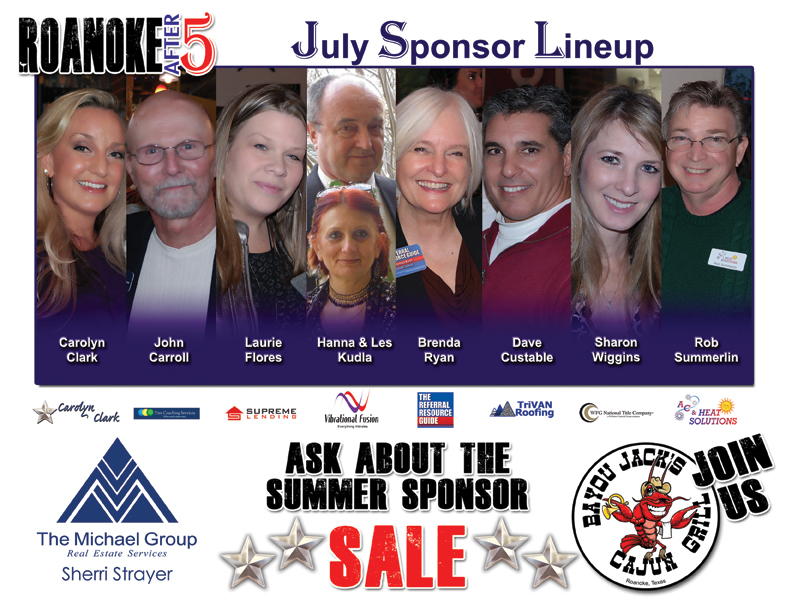 Home → Events → The hottest in Roanoke – RoanokeAfter5 July Sponsors are here! It’s the height of the summer and the networking is HOT! RoanokeAfter5.com is back at Bayou Jack’s tonight and will help you become a NETWORKING BEAST! Be sure to join us there on Thurs., May 28th at 5:30 p.m and say THANK YOU to these wonderful folks, whose generosity makes the event FREE for you! RSVP here.